If you're curious about tile installation certification and the benefits it offers homeowners, specifiers as well as tile installers, you'll want to watch "Certification in Action," a 6 minute video embedded at the end of this article. 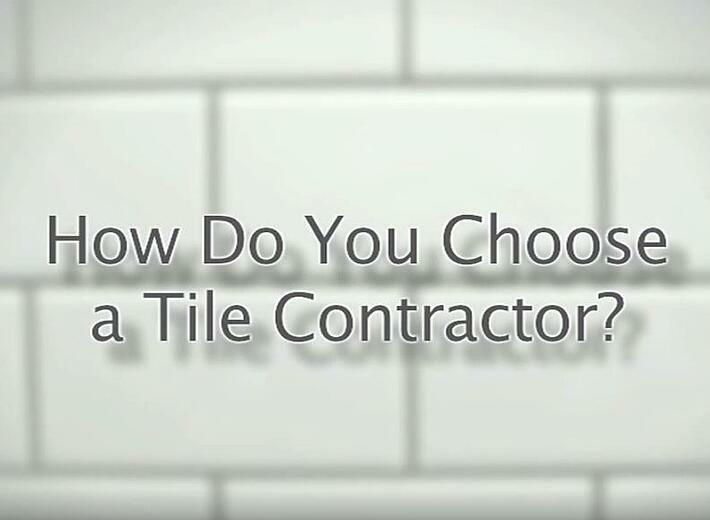 How do you choose a tile installer or contractor? How can you be sure the job will be done right? Why should you hire a certified tile installer? These are all great questions that tile industry representatives -- all of whom support the CTEF's Certified Tile Installer Program, the only third-party assessment of a tile installer’s skill and knowledge recognized by the tile industry -- respond to in the video. Why Have a 3rd-party Assessment of Tile Installation Skill and Knowledge? Unlike other trades such as plumbing or electrical work, tile installation is an unregulated industry with no formalized training requirements. What that means is that a lot of tile is installed improperly. This becomes more of an issue as tile sizes trend larger and longer and installation materials become more technologically advanced. Furthermore, tiling a kitchen or a bathroom - or any room in the home for that matter - represents a major investment meant to last a long time. Ripping the job out is a big deal, not to mention a major inconvenience. Much better the the tile to be installed properly the first time. The best way to ensure that consumers have a choice so they can pick a tile installer who meet their needs and installs properly the first time is by having a method such as the Certified Tile Installer (CTI) program. What Does the CTI Program Consist of? The CTI Program was launched in 2007 as a way to have a method to differentiate between mediocre and excellent tile installers. 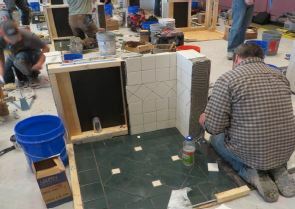 A hands-on test to assess knowledge and skills and also determine if the tile installer understands industry standards, whether s/he is current and up-to-date on best practices and the correct way to install tile. The hands-on test in particular is difficult to pass; it requires true skill and experience. The CTI program is administered by the Ceramic Tile Education Foundation at locations around the country. It is an industry-recognized certification with the same parameters and sets of performance and installation standards. When someone successfully completes the program, you know that the Certified Tile Installer has passed a national standard on how to install tile. You knnow the job will be done properly the first time. >> For more information, read through the Certification FAQs. What are the Benefits of the Certified Tile Installer Program? The Certified Tile Installer program benefits everyone! It really helps to have a higher level of quality installation professionals. Bad installations hurt every tile company and tile installer, not to mention the homeowner. It's important to be educated and trained to do the installation job per the standards and specifications and also make it aesthetically pleasing for the end user. From the perspective of tile industry manufacturers who are selling full installations and product performance rather than single bags of setting materials or single pieces of tile, certification is the only way to get the look and performance you want to achieve. It means that the installer is using the products propertly in the applications they are designed for and installing the tile correctly. For the single installer or the company with a team of installers, certification means being able to go to clients or Architects and Designers who specify tile and providing them with peace-of-mind that CTIs will be installing their job. Certification is the single biggest point-of-difference that an installer or contractor can offer consumers. It proves to them that a significant difference exists between ceramic tile installers. The CTI is a confirmation of true craftsmanship and the ability to perform something that is going to last a lifetime. Programs like this educate the contractor base that retailers and distributors use so that things get installed properly, without issues and homeowners are happy with the installations for many years to come, not just right after it's installed. The end beneficiary of the Certified Tile Installer program is the end user - the homeowner or the building owner - who gets a stamp of appoval that the tile installer has gone through an education process and represents the best quality labor possible. What are your reactions to learning about Tile Installation Certification in Action? Let us know in the comments.